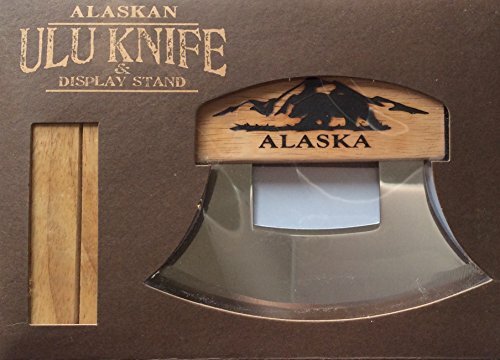 The Ulu Knife has been an critical tool to native Aklaskans for more than 5000 years. It is used to skin game, fillet salmon as effectively as cut greens, herbs and thread. The special form of the Ulu has stayed fairly the very same more than the years. Its layout has needed little improvement. The curved stainless steel blade rocks back and forth to cut speedily, giving sure handle when slicing, chopping, cutting and mincing. Creates twice the direct downward force compared to traditional cutlery, easing strain on the wrist and hands.